Actually I recommend a combination of the two, my favourite is KeePass for a Password Manager with the password management file store on DropBox and SaltThePass which is a deterministic password generator on you mobile. Android or iPhone. KeePass is also available for Windows, Linux, Mac, Android and iOS. I use KeePass as Password Manager with the password management file store on DropBox + two-factor authentication, this gives me the facility to cope with some complex information I don’t want to write down. This is the same for all Geeks, we ALL use KeePass like the early days the Geeks were the ones that used Google first. So when do I use SaltThePass? I typically only use it with web sites that provide two factor authentication to login. That means that you need you mobile with you to be able to access the web site, pretty much using the same technology that you use when you log into your bank account with the PIN generator which is different each time. 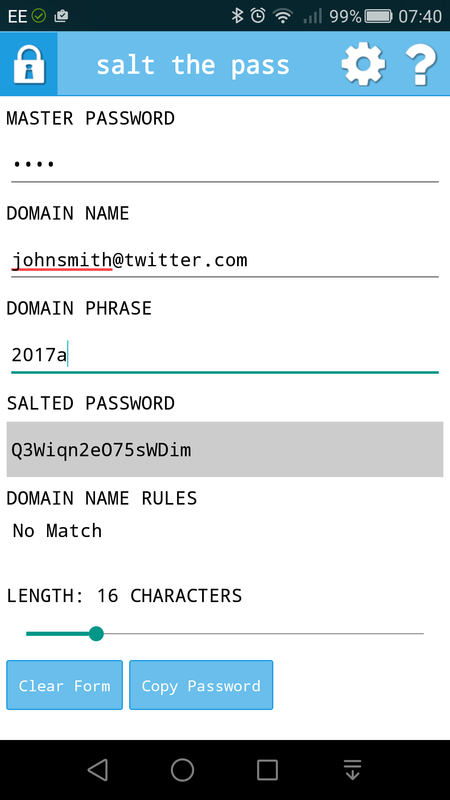 This entry was posted in Passwords and tagged passwords, security. Bookmark the permalink.